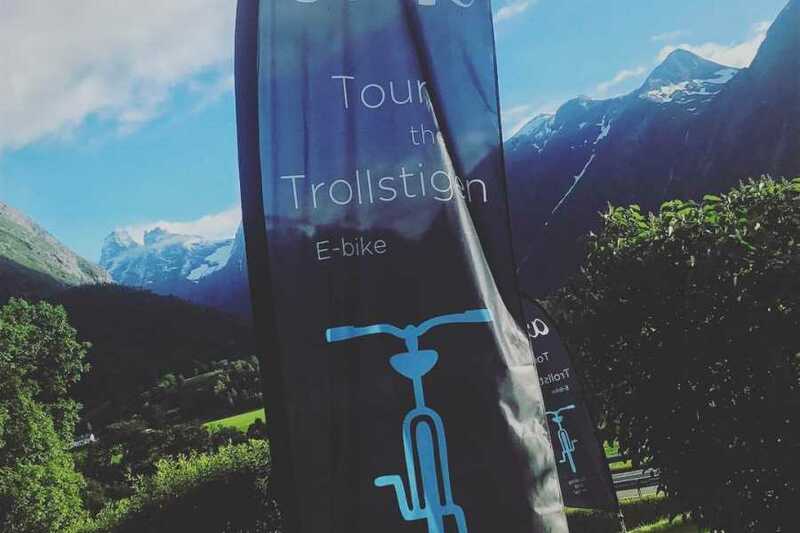 We will guide you with our electric bikes up the Trollstigen Road, one of Norway's most famous tourist icons! 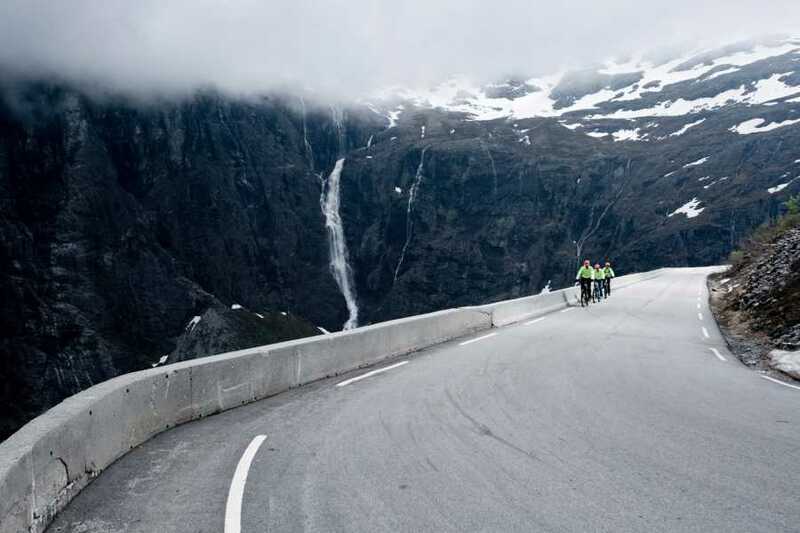 Norwegian Scenic Route Trollstigen offers a spectacular cycling experience. 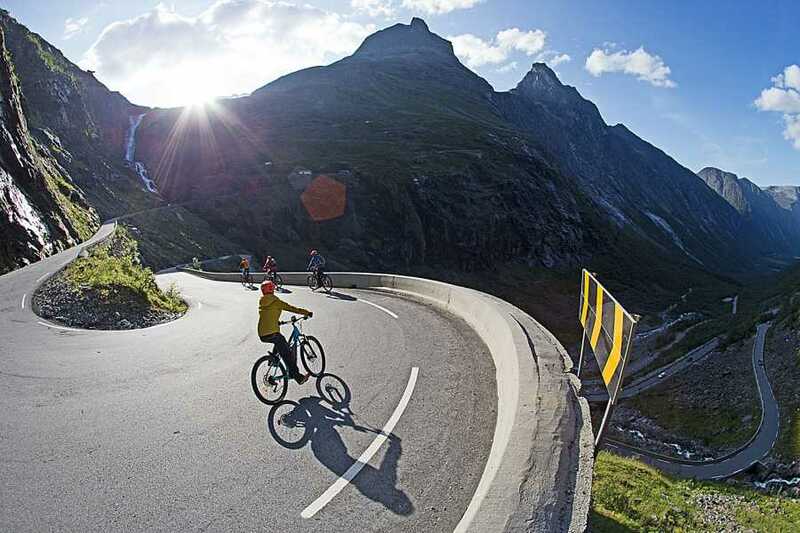 With it's 11 hairpin turns that roll up the mountain side. 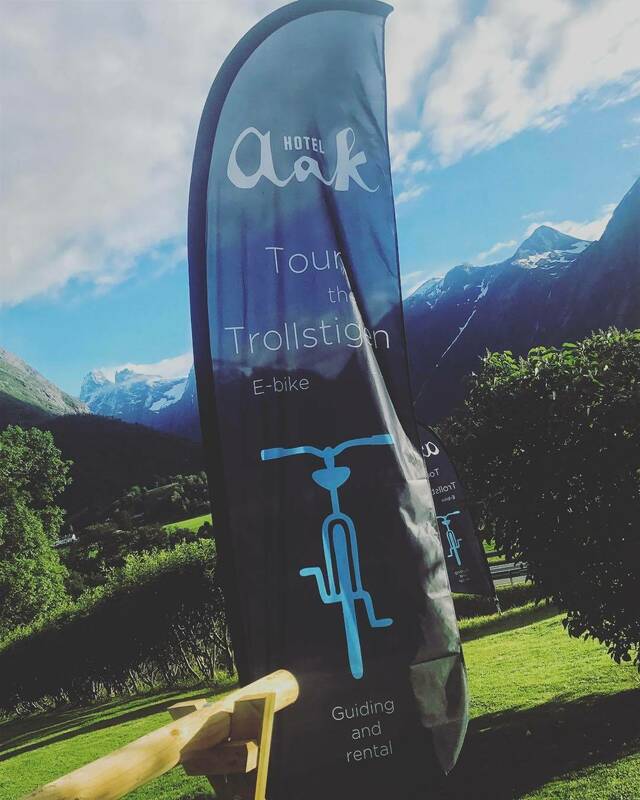 Up on the Trollstigen plateau we will enjoy the breathtaking view and pricewinning architecture, before cruising down the hairpin road back to Hotel Aak. Enjoy fresh air and fabolous views as you roll! The nice thing about electric bikes is that you can bike without using that much physical power. You don't need to be in very good shape to take this tour with us. 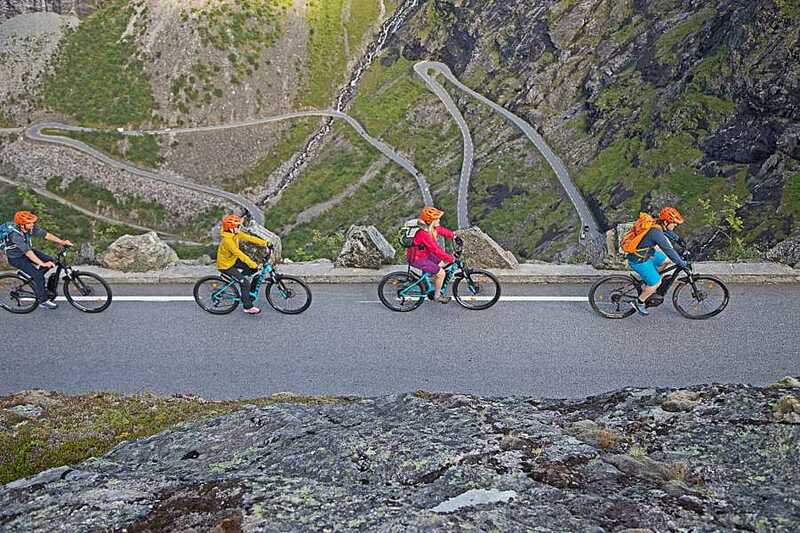 Most people that know how to ride a normal bicycle can manage to do this guided tour. Meet in the reception at Hotel Aak at 09.00 in the morning. The tour takes about 3-4 hours, and it starts and ends at the Hotel. Viewpoint Trollstigen 200 metres above the road. Hand-picked guides that makes your tour fun and safe.